​Having a few lightweight emergency supplies that can help you spend the night outdoors, if required, can save you and your companions. In an emergency situation one of the most common tools that you need is a knife. But since you may need it for a variety of reasons (e.g. making a shelter, making tinder, cutting paracord, etc.,) you don’t want it to be a flimsy knife that can accidently close-up or snap off. What you need is a strong locking blade knife. The criteria that we use to evaluate locking knifes are: 1) size of blade, 2) strength of blade, 3) ability of blade to retain an edge, 4) feel in your hand, and 5) price. We’ve had our 3” Greatland knife for a long time and have kept it because the blade is a good length for cutting while staying firm, has a strong lock and a strong handle. 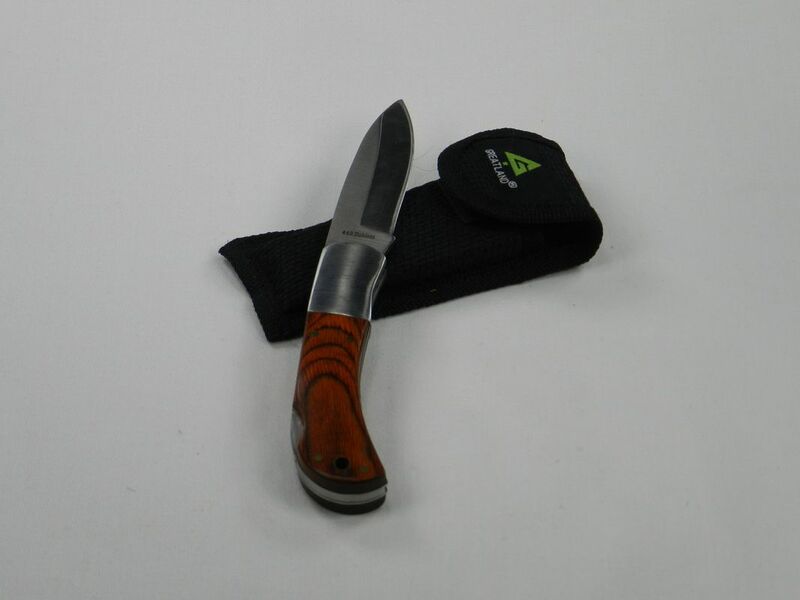 Although you can no longer buy this knife, you can buy locking-blade knives like this at Amazon. 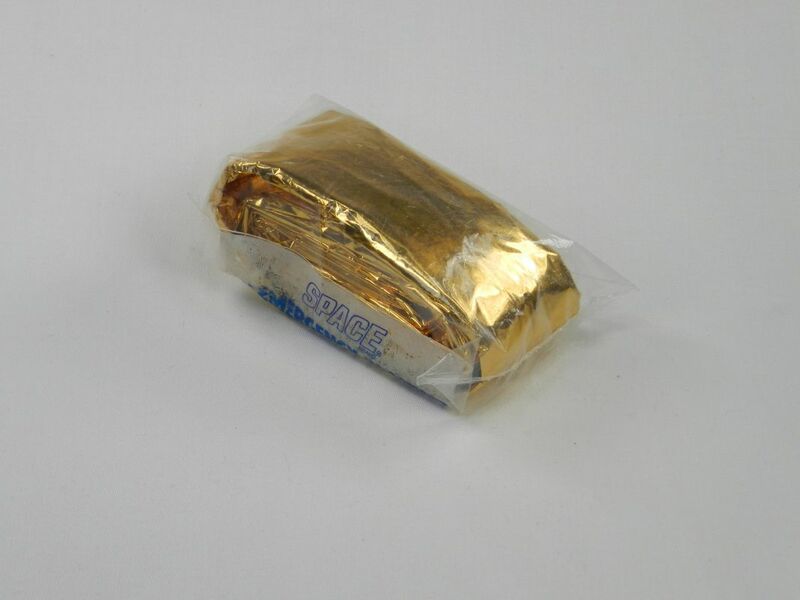 In an emergency situation where you need to get the attention of other people or rescuers you need emergency supplies that will attract them with both sound and visual signals. 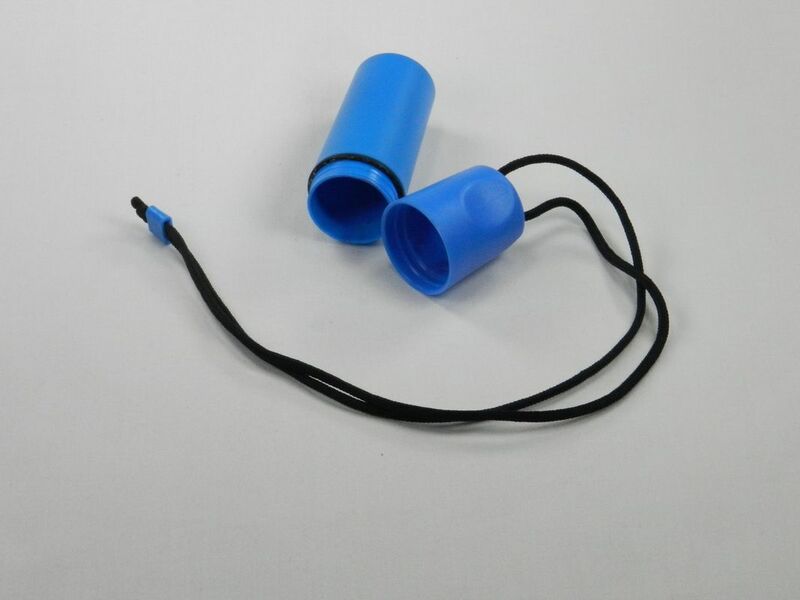 Since the sounds from yelling will not carry very far in the backcountry a better solution is a survival whistle. The criteria that we use to evaluate survival whistles are: 1) volume of sound, 2) pitch of sound, 3) durability, 4) size and 5) weight. 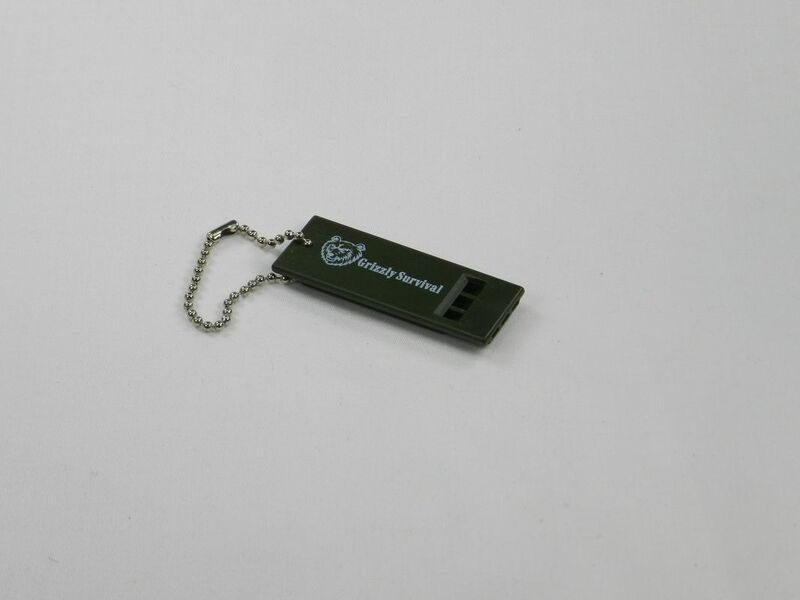 We like the Grizzly Survival Whistle because it is small and light and very loud. In fact this is the same type of whistle that the American Red Cross hands out to those in areas with severe weather - so it's an emergency whistle whose sound is easily recognized by first-responders. You can buy this emergency whistle at Amazon. If you read lots of hiking, camping and survival sites and forums there are thousands of articles on starting fires in the backcountry. We agree that starting a fire is a vital skill, but using flint and steel or making a bow drill should not be plan A. Plan A should be using a butane lighter since that’s the quickest and easiest approach. The criteria that we use to evaluate butane lighters are: 1) dependability of ignition, 2) height of flame and 3) number of uses before the fuel is depleted. For us the best solution to meet this need is the disposable BIC lighter. They are cheap, dependable (unless they get wet) and have adjustable flame levels. If they don’t work you can always move to plan B – but why not start with the easiest approach. 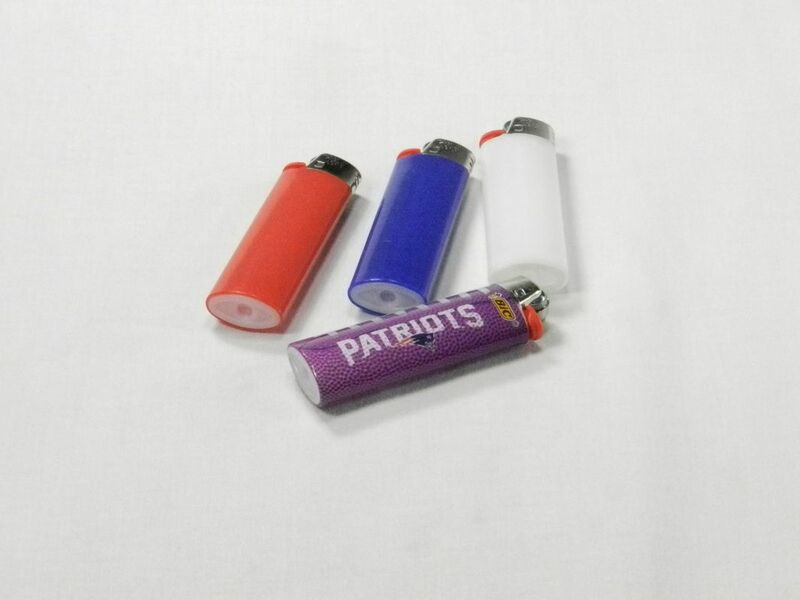 You can buy all sorts of BIC butane lighters at Amazon or your local stores. If Plan A (a butane lighter) doesn’t work to start a fire, then Plan B should be waterproof matches. Once again, items like a ferro rod are great – but still not Plan A or plan B. The criteria that we use to evaluate waterproof matches are: 1) ability to light after getting wet and 2) ability to light in the wind. Coughlan’s has a very detailed line of fire making products and their waterproof matches fit right in with the rest of their products. Theses matches work great – just don’t expect them to work after being soaked for a long period of time. 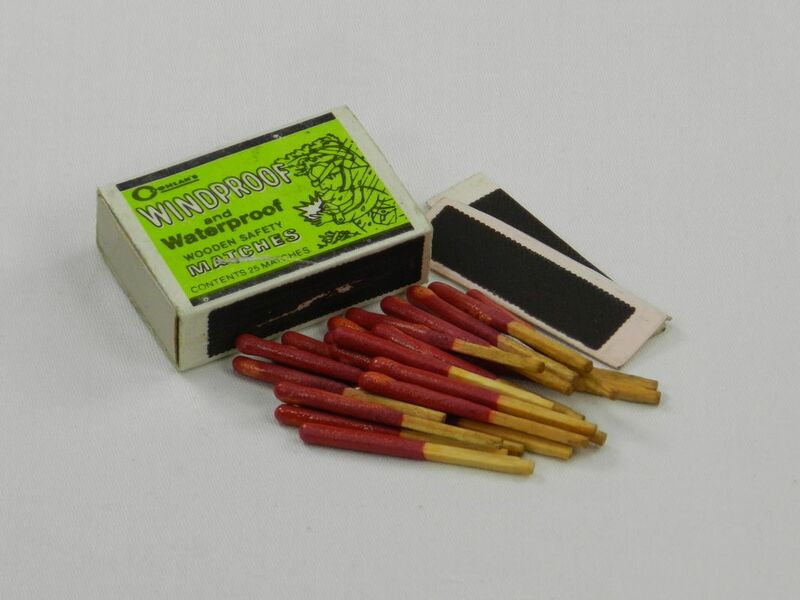 With matches “waterproof” probably really means “water resistant”. You can buy these matches at Amazon; or Coghlan's 1170 Storm Matches if you are really serious. Regardless of what you use for the initial flame (e.g. butane lighter, waterproof matches, or Plan C) to make sure that you can start a fire in an emergency situation you need all the help that you can get. That’s where waterproof firestarter blocks come in. The criteria that we use to evaluate waterproof firestarter blocks are: 1) confidence in lighting 2) waterproofness and 3) weight. For us the Coghlan’s Waterproof Fire Sticks have started every time on the first attempt to light. With a fire stick lit it gives us time to get the natural tinder burning to really get the fire lit. 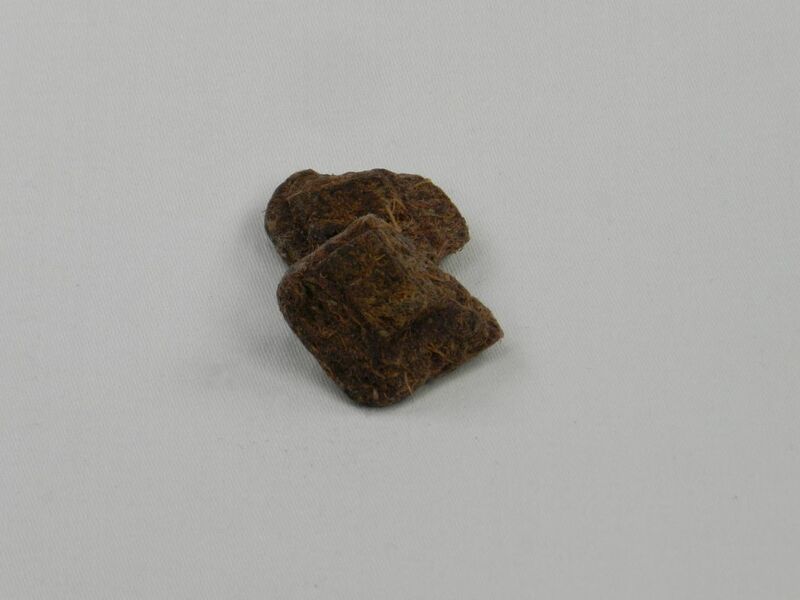 You can buy these firestarter blocks at Amazon. Although we take “waterproof” matches and “waterproof” fire starting blocks with us on the trail – we also take the prudent precaution of putting them both (to include two match striking surfaces from the original match box) in a waterproof case. The criteria that we use to evaluate waterproof match cases are: 1) size of the case, 2) tightness of waterproof seal and 3) having a lanyard on the case. To keep our firestarting supplies dry we use a VAS Waterproof Beach, Boat and Pool Dry Tote instead of a camping supply “match case”. The main reasons for this are that match cases are all really small - with room for ~20 matches and no room for the firestarting blocks, and they don’t normally have a lanyard. The last thing that we want to do in an emergency situation is to lose our matches, so we like having a brightly colored waterproof case tied to our neck or belt when we are making the fire. You can buy this waterproof match case at Amazon. As with the survival whistle, if you are lost and trying to signal rescuers you need a signaling device. To visually signal people, especially people in a plane, the best option is a signaling mirror. 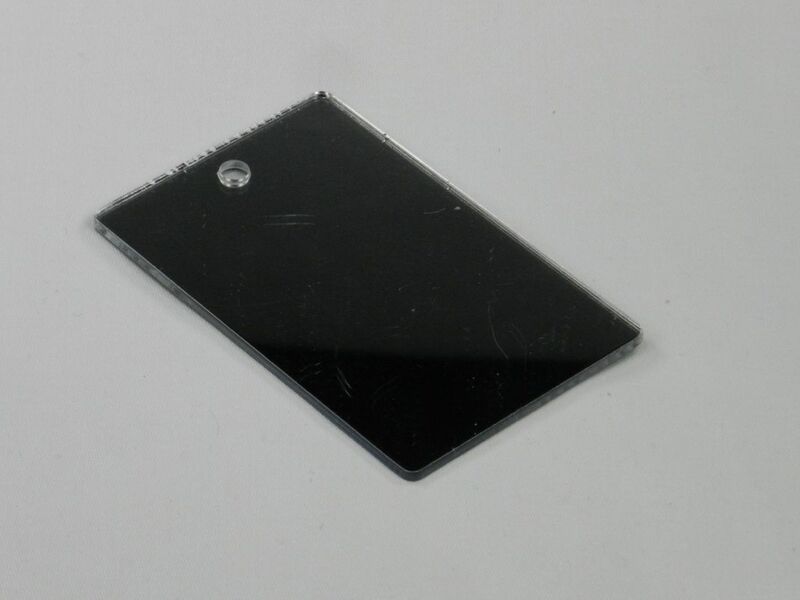 The criteria that we use to evaluate signaling mirrors are: 1) visible distance, 2) size, 3) construction material, 4) ease of use, 5) built-in viewfinder/pointing aid and 6) instructions for use printed on mirror. The Survive Outdoors Longer (SOL - the same people that make the "Adventure Medical Kits") Rescue Flash Mirror is great since it can be seen from 20 miles away, weighs 1/3 of an ounce since it is made of a polycarbonate, has a mil-spec retro-reflective aiming aid and includes instructions on the back of the mirror. You can buy this signaling mirror at Amazon. Space Emergency Blanket - 56" x 84"
​If you have to unexpectedly spend the night outdoors after something goes awry on a hike then the combination of a poncho and a thermal survival blanket can make the difference between an extremely uncomfortable night (or death in the extreme case) and a tolerable night. The criteria that we use to evaluate thermal survival blankets are: 1) heat reflection/retention, 2) size, 3) weight, 4) water resistance and 5) material durability. We use the Grabber Outdoors Space Emergency Blanket. 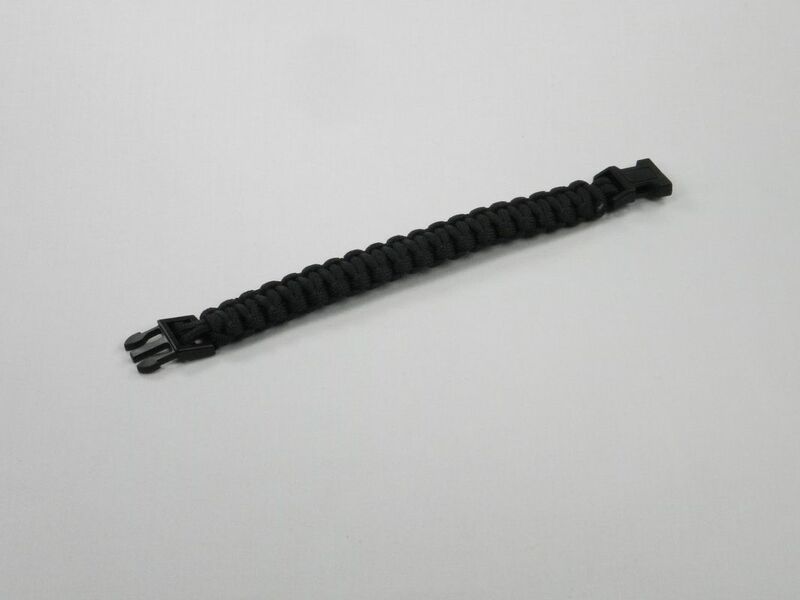 It retaine 80% of the heat, expands to 56" x 84”, is waterproof and windproof, and only weights 3 oz. You can buy this thermal survival blanket at Amazon. ​Every year you read about someone lost in the outback without the knowledge to rescue themselves or live through the experience. In many cases these unfortunate people don’t have the proper gear, but sometimes they do have the right gear to help them out of their emergency situation. So what don’t they have? The survival knowledge that they need. Either they forgot it in the crisis situation, or they never knew it. Regardless of how carefully gear is chosen it’s of no use if you don’t know what to do with it. 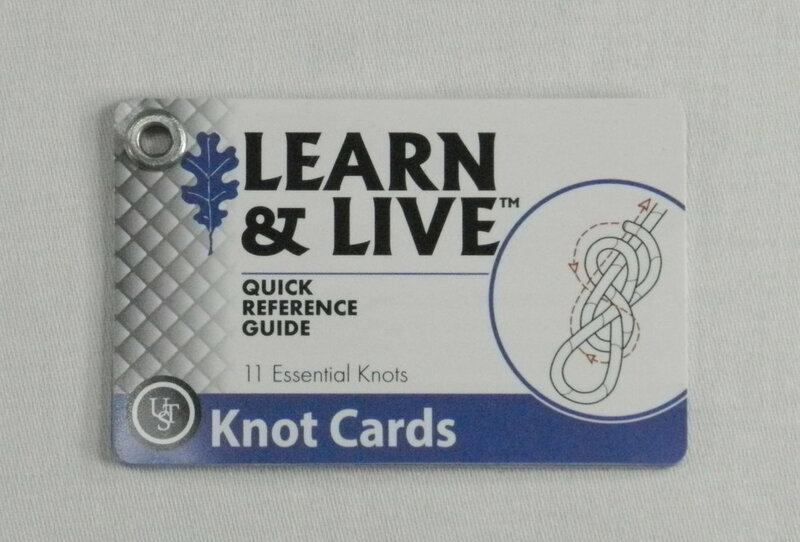 ​Knots: The 6 cards have instructions and illustrations on how to tie the 11 most commonly used knots. The knots covered are: 1) Double Fisherman, 2) Bowline, 3) Figure Eight, 4) Clove Hitch, 5) Figure Eight Loop, 6) Clove Hitch on a Bight, 7) Prusik Hitch, 8) Square Knot, 9) Trucker’s Hitch, 10) Taut-line Hitch, and 11) Double Sheet Bend. The cards are a perfect reminder for wilderness survival and emergency preparedness. 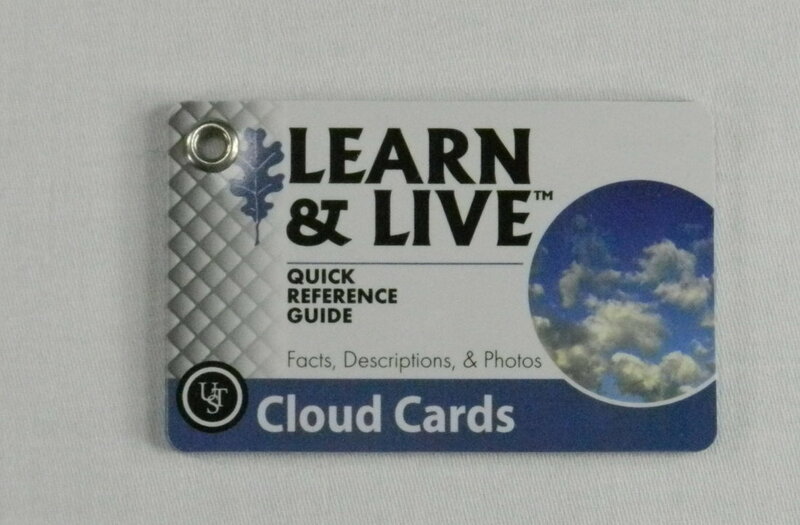 ​Clouds: The 11 Clouds cards describe the appearance of 10 cloud types along with additional details about elevations and their related weather patterns to assist first-time campers and seasoned backpackers in predicting the imminent weather. The clouds covered are: 1) Cirrus, 2) Cirrostratus, 3) Cirrocumulus, 4) Altostratus, 5) Altocumulus, 6) Nimbostratus, 7) Stratocumulus, 8) Cumulus, 9) Stratus, and 10) Cumulonimbus. Star Gazing: The 6 Star Gazing cards illustrate and describe the 11 most recognizable constellations in the Northern Hemisphere. Using photographs and detailed descriptions, they’re a great tool to help you recognize the most popular constellations in the night sky. The constellations covered are: 1) Summer Triangle, 2) Ursa Major (e.g. Big Dipper), 3) Ursa Minor (e.g. Little Dipper), 4) Hercules, 5) Draco, 6) Cassiopeia, 7) Pegasus, 8) Corona Borealis, 9) Lupus, 10) Bootes and 11) Orion. Way Finding: The 10 Way Finding cards describe a variety of navigation tools and provide how-to instructions so you can orient yourself in the outdoors and locate your destination. 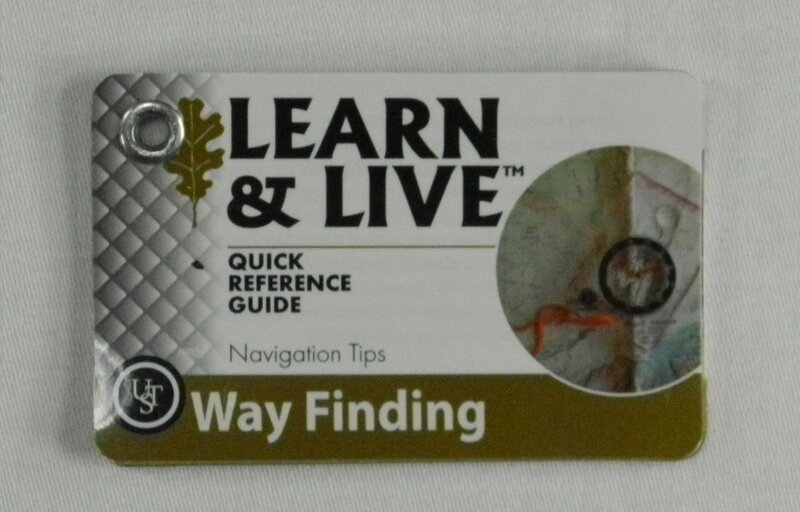 The cards include examples and step-by-step instructions for using a compass with a map. The topics covered are: 1) Compass and Navigation Basics, 2) Types of Compasses, 3) Holding a Compass, 4) What is a “Bearing”, 5) Using a Compass with Maps, 6) Orienting a Compass with a Map, 7) Plotting a Course, 8) Navigating Around an Obstacle, 9) Finding Your Way Out, 10) Declination: Magnetic North vs. True North, and 11) GPS vs. Digital Compass vs. Analog Compass. 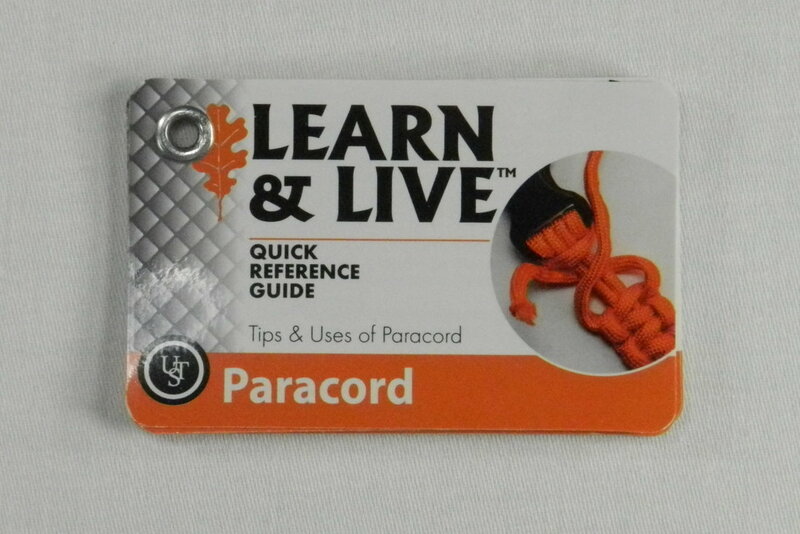 ​Paracord: The 10 Paracord Cards illustrate and describe a variety of ways to use paracord in emergency situations while hiking and camping. The topics covered are: 1) What is Paracord, 2) Clothing Repair/Replacement, 3) First Aid, 4) Fishing Gear, 5) Food Hanger/Bear Deterrent, 6) Tie Downs, 7) Tent Lash, 8) Clothes Line, 9) Path Marker and 10) Snowshoes. 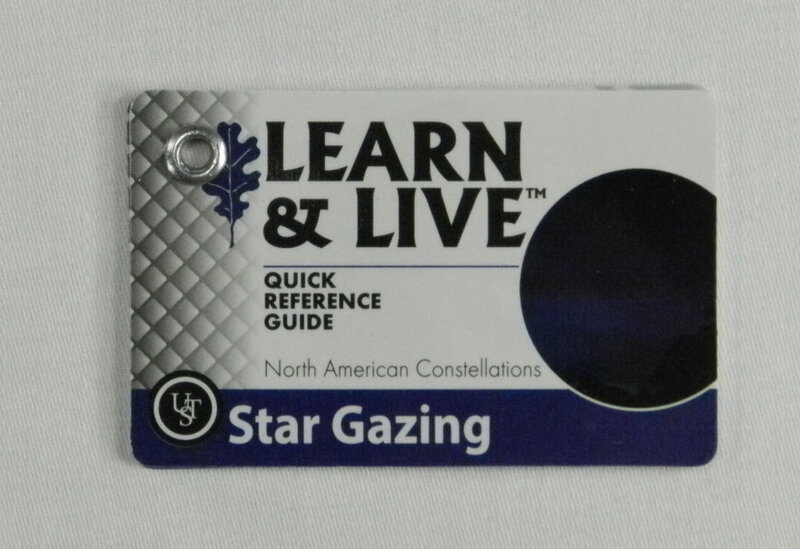 If you are interested in seeing all of the “Learn & Live” cards that UST makes you can find them here: You can buy the UST "Learn & Live" cards sets at Amazon.